TLM LIVE environment > North Shore Vein Center > Blog > Uncategorized > Q&A: Is there any risk in not doing microphlebectomy after the closure procedure? Q&A: Is there any risk in not doing microphlebectomy after the closure procedure? Q: My leg feels a lot better after 2 months (not perfect) but some bulging veins remain. Could I worsen my condition if I don’t remove the bulging veins? How would blood flow out? A: We usually do this at the time of the EVLT, but it is safe to do it as a staged procedure. 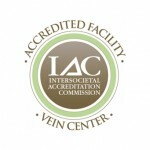 There are plenty of veins left, including your deeper veins and these varicose veins are safe to remove.